How accessible is Snowdonia for that holiday break? How difficult is it to go on holiday without the car? Perhaps, you don’t drive or live in a city where everything you need is close to hand and don’t need access to a car. What happens when holiday time comes around and you need to get to the other side of the country and what do you do when you get there? Most people plump for a beach holiday when planning their getaway but you don’t want to spend every day on the beach. Unfortunately, if you don’t get your location choice right, this may be all you can do. There’s no point getting yourself to a spectacular beach if everything else you want to see and do is only accessible by taxi. This is a sure fire way of burning-up that hard-earned holiday spend. Snowdonia is a breath-taking part of the country filled with places to visit and things to do, but how accessible are we? What are your options? That Snowdonian cottage in the middle of Happy Valley with a stream running through the garden may offer stunning views and a ‘to die for’ location but those initial goose bumps soon flatten-out when you realise that your eggs, bacon, milk and bread are a five mile hike away. If you are planning a holiday without the car in Snowdonia this year, then you need a base where everything is close to hand and which has fantastic transport links. A beach-fronting property is also a big plus so that you can watch the sunset from your window whilst enjoying a glass of wine. This little list really narrows down your options and I am going to make things even easier for you: choose Tywyn! In fact, I can make it even easier than that: choose US! Well … where shall I start? 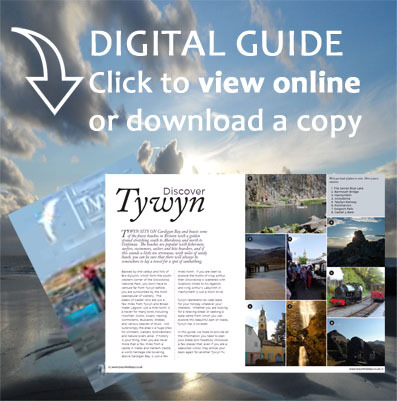 Tywyn is a traditional seaside resort blessed with miles of sandy beach – you can’t have seaside holiday without a sandy beach – which nestles between Cardigan Bay and the hills and valleys of Bro Dysynni. In fact, the name Tywyn derives from the Welsh for beach or dune and you can’t go around naming things ‘beach’ or ‘dune’ if you don’t have them. Tywyn’s other big plus is that the hills of Bro Dysynni form the south-western corner of the Snowdonia National Park, which is the third largest of the UK’s fifteen national parks, and is packed with stuff to do. Snowdonia is not known as the UK’s activity capital for nothing. Finally, Tywyn benefits from regular rail services to the rest of the UK and is easy to get to. Although all tourism has a carbon footprint, travelling by train is probably the most environmentally friendly way to get around and see the countryside and we are going to be relying heavily on the trusty train to get us to those must-dos which will pack-out your holiday week. When visiting Tywyn, your best ‘hub’ is Shrewsbury which is serviced from London and the South East by Virgin Trains (www.virgintrains.co.uk), from the North and the East by Arriva Trains (www.arrivatrainswales.co.uk) and from the South West by First Great Western (www.firstgreatwestern.co.uk). Tywyn train station is on the Cambrian Coast Railway and has passenger services to other popular holiday locations on the Cardigan Bay Heritage Coast such as Harlech, Porthmadog, Pwllheli, Barmouth and Aberdovey. 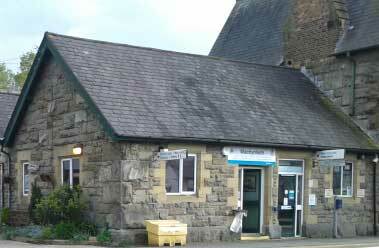 Once you have arrived in Tywyn, we are only 500-metres from the station. If you are travelling from Birmingham have a look at a film, Of time and the railway, by Robert Davies about the journey recorded from the drivers’ cab over the course of 86 different days which has been edited into a single trip. 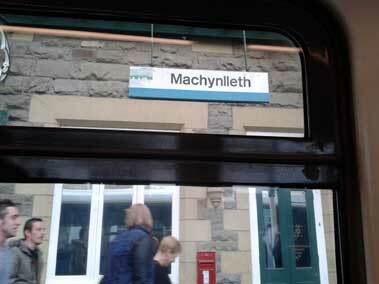 OK, we have got you to Tywyn. You have unpacked and are just sitting there watching the waves lap the beach. These gentle ancient rhythms interact with the sea air firing-off all kinds of sensory neurons which gradually work deep into your brain searching out stress centres temporarily decoupling them from the rest of your brain circuitry. Your mind turns to the week ahead. This is when you select, and dust down, your smuggest grin and congratulate yourself for picking Tywyn because not only do we have five miles of beach but we also have the world famous Talyllyn Railway, a leisure park, a leisure centre, a cinema, a skate park … the list goes on. Once you have exhausted that lot, you can hop on the train to visit Harlech Castle, a UNESCO-badged world heritage site, which towers above Cardigan Bay atop a rocky plateau. You can use the same train to visit Portmeirion, a Mediterranean-style village, and spend the day as the prisoner or hop on the bus to visit the world’s most renowned eco-centre, the Centre for Alternative Technology (CAT) near Machynlleth. See our guide to Snowdonia’s Cambrian Line for information on all the train stops. Don’t want to go-off travelling, then go on a beach walk to Aberdyfi and spend the day crabbing from the pier. You can leave the boots at home – all you need are flip-flops. Don’t fancy the walk back, then do what we do and hop on the train. There are, of course, many other places to visit in this delightful part of Wales and Arriva Trains have put together an explore wales map that lists visitor attractions together with rail and bus routes all marked so that you can plan your journey. Don’t forget that many attractions offer a discount on admission when you present your rail ticket. For a list of these attractions visit Arriva Trains. Need further convincing? Your TywynHolidays’ apartment is in WALKING distance of the pub. This entry was posted in Activities and Attractions, Services, Snowdonia by train and tagged Snowdonia by Rail, Snowdonia by Train, Snowdonia Car-free on 3 May, 2014 by Paula.